We are fortunate that so many talented and experienced individuals have agreed to speak at our festival. Expert speakers introduce all of our feature films. Speakers also participate in our panel discussions or moderate them. Some have been known to give cooking demonstrations or guide culinary tours for us. Andy Breiter has been farming for four seasons. He previously worked on a cattle ranch in Wyoming before moving to Boulder where he now works on a multi-species livestock operation. He will moderate the panel discussion after the screening of How We Grow. Sara Brito is a food lover with a zest for life. She’s also the co-founder of the Good Food Media Network, publisher the Good Food 100 Restaurants™, a 501(c)(3) nonprofit with a mission to cultivate a conversation and community around the people and businesses changing the food system for good. Sara will interview Laurie Woolever and Todd Liebler together and moderate the Q&A session following the Babette’s Feast screening. Tim Brod is the owner/operator of Highland Honey, a Boulder commercial beekeeper, and an educator and advocate for honey bees and pollinators. Tim has worked with honey bees and agricultural development concerns all over the world. He will talk on pollinators and meat production and participate in a Q&A session before the Eating Animals program. Megan Bucholz is the founding foodie of Local Table Tours, which provides culinary tours in Boulder, Denver, and Fort Collins. Megan will guide the Downtown Boulder Brews and Bites Tour and is the Flatirons Food Film Festival’s emcee. Conscious Alliance’s Program Director, Kathryn Burleson, focuses on every stage of program development, from generating ideas, grant writing and program execution, to evaluation and writing reports. She has a passion for social justice and a commitment to working at the intersection of culture and food security. Kathryn will speak for Conscious Alliance at Engage: Conversations with Food Nonprofits. Ray Daniels is the Founder and Director of the Cicerone Certification Program, the world’s leading certification program for beer professionals. He is also an author with 30 years of beer and brewing credits, including the industry standard, Designing Great Beers. During his career, he has judged beer and taught beer professionals on five continents. He will lead a beer tasting dinner, introduce Brewmaster, and participate on a panel discussion after the film. Born and raised in Italy, Mauro De Giorgi will represent the awesome cuisine of his native land. Expect fresh simple ingredients and great flavors that you can bring into your own household! Mauro will demonstrate how to make a simple Italian dish that is one of his family’s favorite dishes to prepare together at Children and Family Food Traditions. The livestock manager of Cure Organic Farm, Margauex Fenn grew up on a rice, almond, and cattle farm in Northern California. Her family has a history of farming that goes back to the 1700’s. Growing up in the livestock industry taught Margauex the importance of free range, sustainable livestock. When she’s not being chased by Cure Organic Farm pigs or trying to wrangle up their chickens, you can find her home with her two dogs eating peaches and tootsie rolls. She will lead the Humanely Raised Livestock Tour. As Senior Development Manager, Liz Grossi oversees fundraising efforts for the Cooking Matters Colorado-based food skills education programming. Cooking Matters Colorado is helping end childhood hunger by teaching parents and caregivers struggling with limited food budgets how to shop for and cook healthy, affordable meals. Liz will speak for Cooking Matters Colorado at Engage: Conversations with Food Nonprofits. Julia Halaby, the daughter of a Palestinian refugee and a member of the Boulder-Nablus Sister City Project, has been engaged in dialogue and projects promoting peace and reconciliation in Palestine and Israel for over ten years. A Special Education teacher at Boulder High School, her motto is “listen generously and you will hear truth about yourself in their words.” She will introduce Soufra. 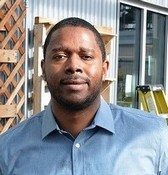 Erik Hicks manages all individual, corporate, and foundation opportunities as well as community outreach and public communications at Metro Caring. He has a deep passion for anti-poverty work and believes in Metro Caring’s mission of offering comprehensive programming to break the cycle of food insecurity, ultimately ending hunger at its root. Erik will speak on behalf of Metro Caring at Engage: Conversations with Food Nonprofits. Lisa Kovener is an energetic, compassionate bilingual professional who is often times referred to as the CLO (chief listening officer) in her current role at Sister Carmen Community Center as office manager. 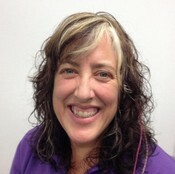 Lisa will speak for Sister Carmen Community Center at Engage: Conversations with Food Nonprofits. Betsy Lay is the head brewer and co-founder of Lady Justice Brewing in Denver. Along with Jen Cuesta and Kate Power, she opened it as a means for beer drinkers to use the power of small business to improve their communities. Lady Justice Brewing donates all profits from beer sales to Colorado organizations that empower women and girls. She will participate on a panel discussion after Brewmaster. Alan Lewis navigates food and agriculture policy at Natural Grocers while developing the supply chain for regenerative producers and products. He will moderate the panel discussion after Eating Animals. Emmy Award-winning cinematographer Todd Liebler has spent the last 13 years shooting film for Anthony Bourdain, keeping pace with Bourdain for the shows No Reservations and Parts Unknown. He shot 160 episodes with Tony. Todd will participate in a group interview about Anthony Bourdain. Katie Belle Miller, a wife, mother, and proud entrepreneurial farmHer and rancHer, owns and operates Heritage Belle Farms, a holistic land-based business northeast of Colorado Springs that emphasizes land stewardship, innovative management, and economic viability. She supports like-minded farmers and ranchers through her work with multiple organizations that aim to improve agricultural practices and profitability. She will participate on a panel discussion following the screening of Eating Animals. Originally from Japan, Megumi Nagamoto loves making Japanese food from scratch, such as traditional fermented Japanese fare like miso and natto, or dabbling in the many raw foods the Japanese cuisine has to offer. She and her children are excited to share the Japanese soul food of onigiri (rice balls) at Children and Family Food Traditions. Charlie Papazian, founder of the American Homebrewers Association and Brewers Association, is one of the most prominent and recognized names in the world of beer and brewing. His published commentaries provide insights into the industry, advice to homebrewers, and beer perspectives for beer drinkers. He will participate on a panel discussion after Brewmaster. Jim Davis Rosenthal is a writer, artist and teacher living in Denver, Colorado. This photo was taken by Houston photographer JR Sanchez while he and Jim enjoyed some delicious more-fair-than-fair-trade locally roasted coffee at a Denver haunt. He will introduce The Cakemaker. Jonathan Shikes is a Northwestern University-trained journalist with nearly 25 years of experience as a writer, editor and manager at daily and weekly newspapers and web sites. He has also been writing about the craft-beer industry in Colorado for a decade, primarily for Westword. He will moderate the panel discussion after Brewmaster. Jill Skokan owns and operates the largest full-scale farm and restaurant operation in the country with her husband Eric. They run two award-winning Boulder restaurants, Black Cat Farm-Table-Bistro and Bramble and Hare, and a 500-acre certified organic and biodynamic farm with more than 300 sheep,120 pigs, and 250 vegetable and grain varieties. She will participate on a panel discussion following the screening of Eating Animals. Malena Svarch, Executive Producer of Cuban Food Stories spearheads the CFS – Culinary Initiative, a non-profit working to make Cuba a culinary destination. This documentary is the first in a series of films that she is developing. She will introduce Cuban Food Stories and participate in a Q&A session after the film. Woody Tasch, the Founder of the Slow Money Institute, is the author of Inquiries into the Nature of Slow Money: Investing as if Food, Farms and Fertility Mattered, which sparked a movement and led to the flow of more than $66 million to hundreds of local and organic food enterprises around the country. He will participate on a panel discussion after How We Grow. Kelly Whitaker, Chef and Owner of Basta in Boulder and Wolf’s Tailor in Denver, is co-founder of the Noble Grain Alliance, an advocacy nonprofit dedicated to preserving heritage grains. His restaurants exclusively use flour ground from heritage grains. The Noble Grain Alliance is committed to the movement to restore local heritage wheat, corn, and seeds by promoting their farming, milling, and distribution. Kelly will speak for the Noble Grain Alliance at Engage: Conversations with Food Nonprofits. Paul Willis, a fourth-generation hog farmer and founder of the Niman Ranch, has devoted his career to promoting animal welfare, land stewardship, and sustainable farming methods. Besides pioneering the sustainable pork industry, Paul also co-founded Food Democracy Now and currently serves on the board for Global Animal Partnership. He will participate on a panel discussion following the screening of Eating Animals. Laurie Woolever is a writer, editor, and was, until his death, the right-hand man to Anthony Bourdain, with whom she co-authored Appetites: A Cookbook in 2016. Her writing has appeared in the New York Times, Los Angeles Times, Food & Wine, GQ, Saveur, Dissent, Lucky Peach, and more, and she is working on two books about Bourdain’s life and travels. Laurie will participate in a group interview about Anthony Bourdain. Rebecca Zinner is a Boulder-based documentary media artist and recent MFA graduate from the University of Colorado at Boulder. Frequent themes explored in her work include food and community, end of life, and familial relations. She will introduce her film, The Last Meal: Chef Eric Skokan. Director Tomas Zuccareno was raised on a small family farm in New Hampshire. He has traveled the world working for organizations like The National Geographic Society, Condé Nast, and Forbes. He has been a member of the marketing team at Aspen Snowmass for 23 years and a staff photographer for ESPN Images for 17 years. A desire to tell the story of the community that has been his family for more than two decades inspired him to make the How We Grow. He will introduce How We Grow and participate on a panel discussion after the film.